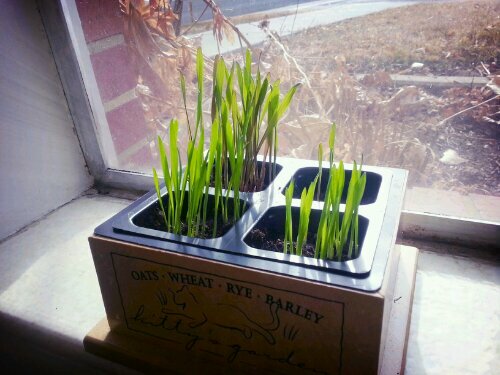 Gourmet Cat Grass – grows in one week! The cat grass is ready! – now that Tigger no longer needs it…He has (at least temporarily) ceased assault on my houseplant, seemingly have adjusted to the new foods I’m providing. I even tried clipping a few blades and putting them in his bowl, just to see if he was interested. Nope. That’s cats for ya!